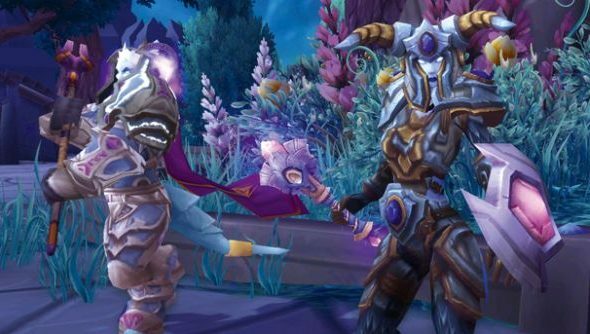 The next expansion for World of Warcraft is bringing with it slew of improvements and fixes across all aspects of the game. One of Warlord of Draenor’s features is the streamlining of end-game progression – most notably raids. In a blue post today regarding currencies, Blizzard have announce their plan to retire the Justice and Valour tokens in favour of a more universal one. Gold. Blizzard revealed their plan in a blue post on the official forums. “What will be going away is Justice and Valor.” said game designer Watcher. “Over time, they’ve moved away from their original purpose, and given how widely available they’d become (awarded from quests, scenarios, dungeons, raids, etc. ), we’d rather return to the original universal currency: gold. Justice and Valour tokens are currently used to buy the majority of your starting raiding gear and further augment your loot drops. Using gold as a replacement currency is interesting, but the effects of such a system remains to be seen. One thing is for certain: you’re going to want to stock up on more gold before Warlords of Draenor hits on November 13th this year.